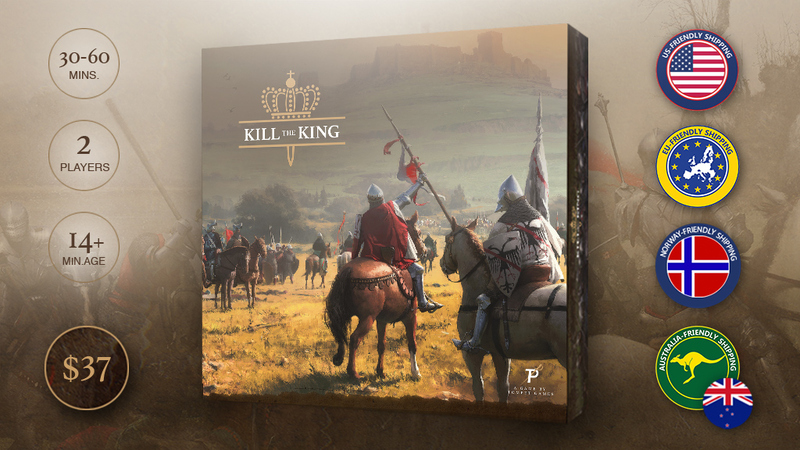 Kill the king is a new strategic board game where two players control one army each. One player attacks a castle while the other player try to defend it and prevent the attackers from killing the king. The attackers have to hurry because the defenders will soon be reinforced by its own cavalry, returning to save the day. Kill the king is being developed by Petter Schanke Olsen and Thomas Lie-Gjeseth from Norway. Please like us on social media and sign up for our newsletter.